Cute Toy Giraffes for Kids! Best Toy Giraffes for Toddlers and Children! I found the cutest and most adorable toy giraffes for kids! Who doesn’t love a cute giraffe right? I have always liked them a lot and they are among my most favorite animals! They are super tall and they spend almost their wholes lives standing up! Giraffes are lovely animals, very peaceful and full of cool spots all over their bodies! They also have a huge tongue! 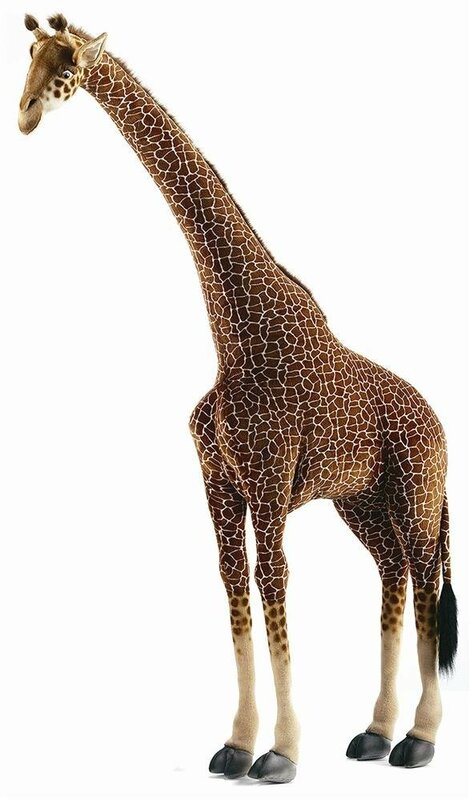 This is the most realistic life-size giraffe stuffed animal I have ever seen! Can you imagine having a real-looking giraffe inside your bedroom? She was built using a very strong steel frame inside and soft plush materials outside. Doesn’t she look exactly like a real giraffe? Who is the lucky giraffe lover getting her? Best Toy Giraffes for Children! 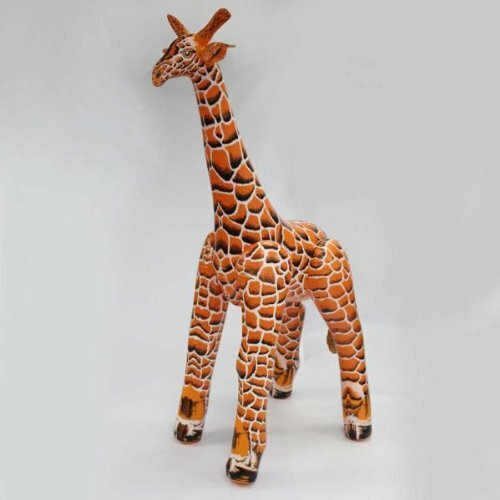 This is a super cute, fun and affordable tall giraffe plush animal for sale! She can’t wait to go home with you and live inside your child’s bedroom! She is basically the actual size of a new baby giraffe and kids love her! She is also super friendly and it’s always smiling! She also loves to be hugged and loved! 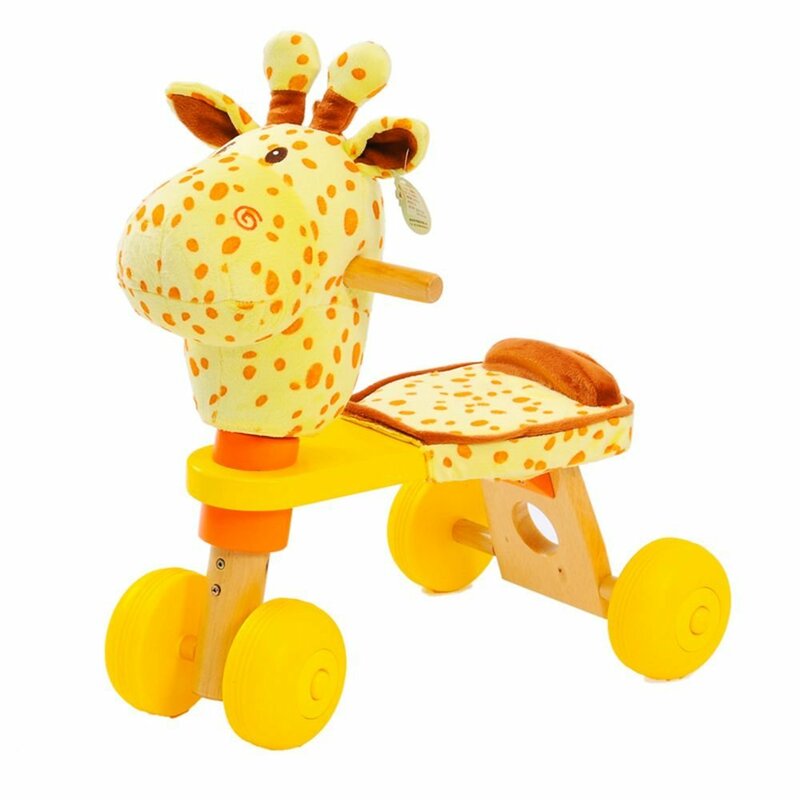 How adorable is this giraffe trike for toddlers? She is made of wood, plush and plastic! Great first trike for a one year old! They are going to love climbing her and use their legs and feet to make her ‘go’! 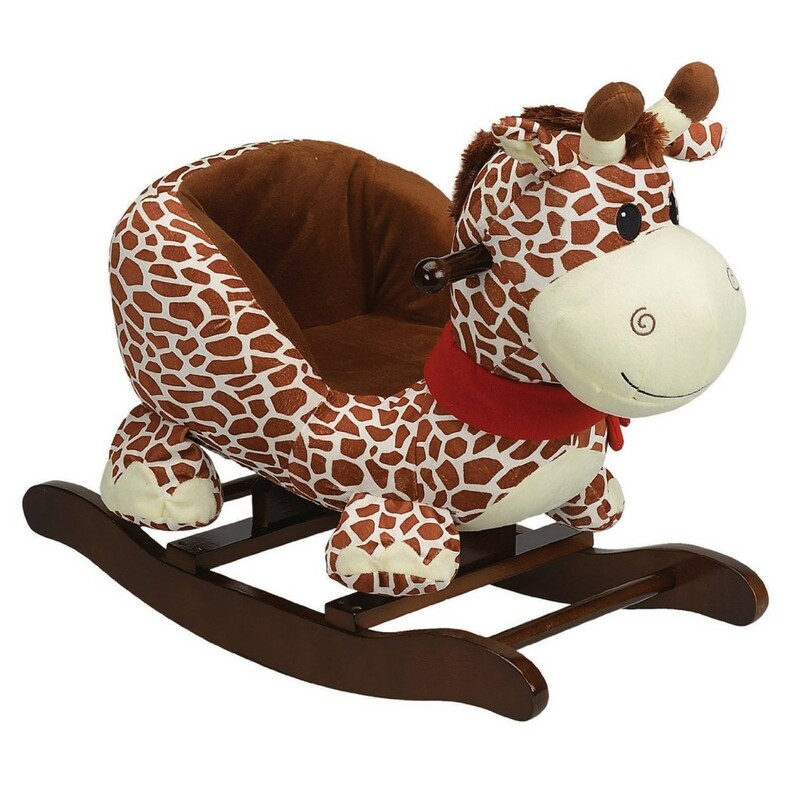 Of course we can’t talk about the best toy giraffes for kids without including a cute giraffe plush rocker in the mix! She is very well-made and will hold up kids ages 2 to about 5 or 6 years old rocking on her! I had to show you Gerry! he is the most adorable giraffe rocker for babies around! He is super comfy and soft to sit on and very cuddly! Giant Giraffe Floor Cushion for Baby! 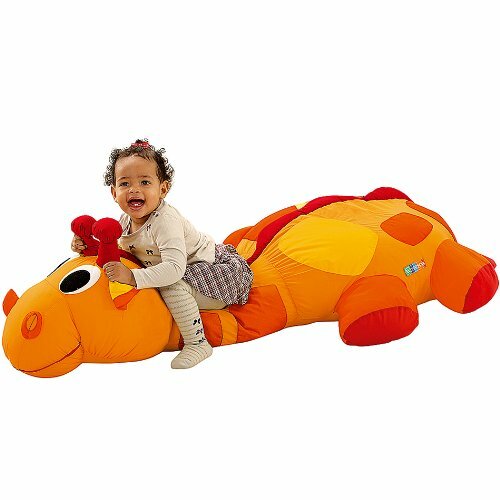 How fun, colorful, soft and adorable is this giant giraffe floor cushion for babies? Even adults can use this cool giraffe cushion to watch movies or listen to music! That little girl is having a great time! Very Unique Wood Toy Giraffe! Is it a riding toy? Is it a cute giraffe? 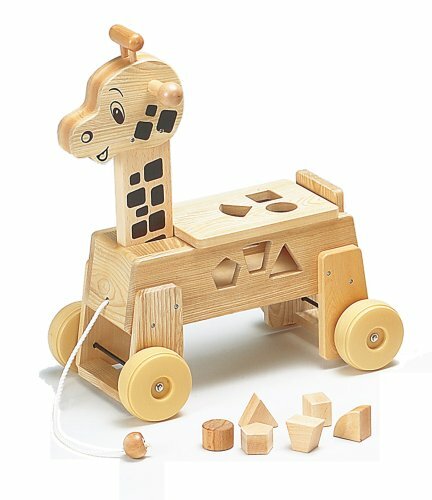 it is a very cool and very unique wooden giraffe riding toy puzzle! 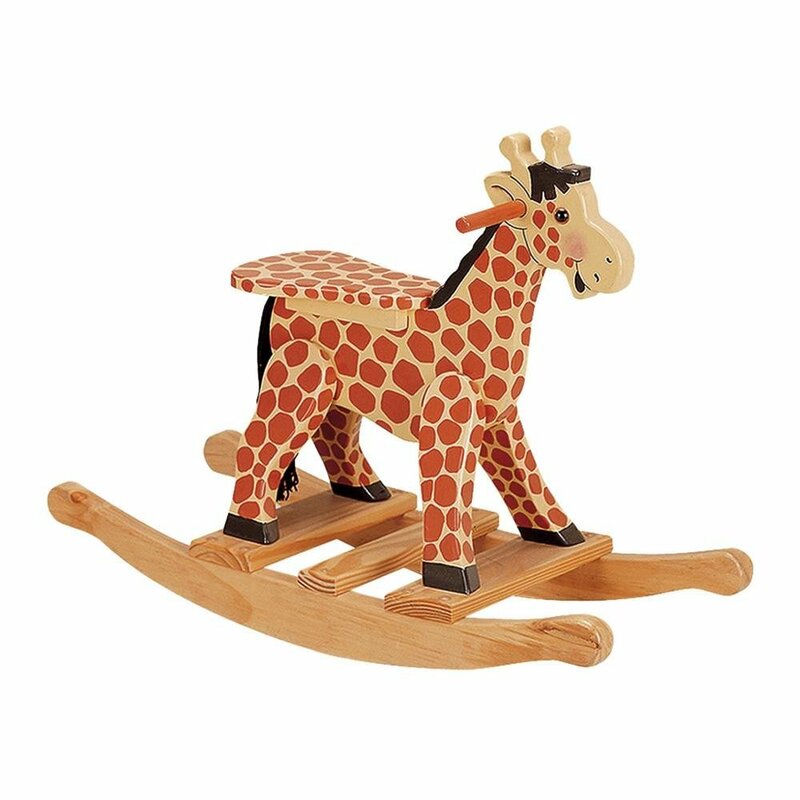 Beautiful Wooden Rocking Giraffe Toy! 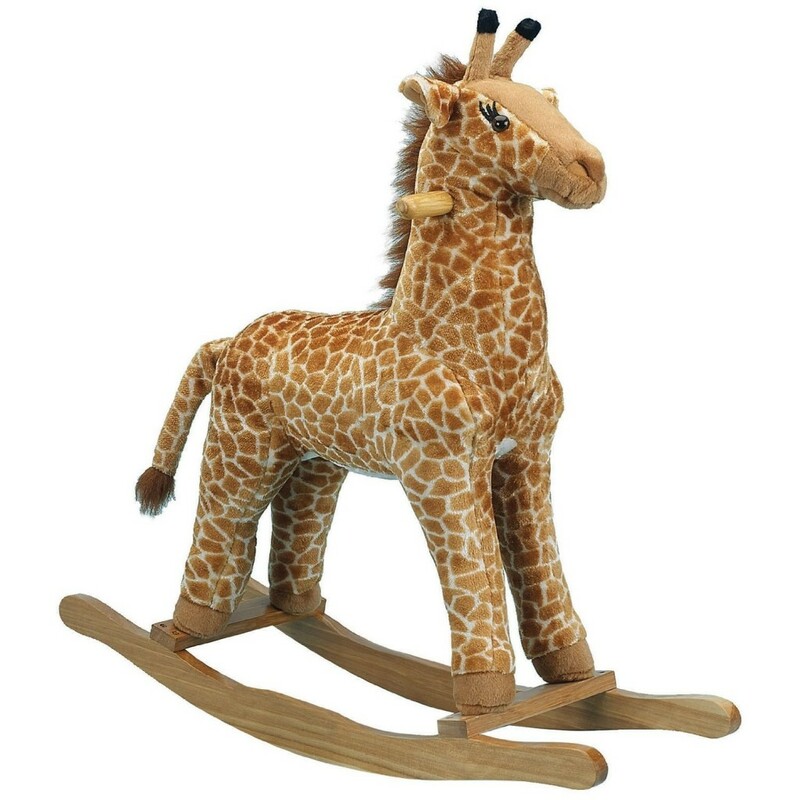 I absolutely love this cute wooden rocking giraffe for kids! His name is Jacob and he loves to make little kids giggle and laugh from happiness! You will get three adorable and very tall (60 inches each!) inflatable giraffes! If you have three kids, you can give one inflatable giraffe to each! 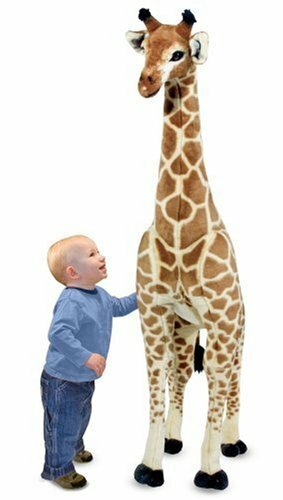 This is one of the cutest and most affordable real looking standing tall plush giraffe for kids around! She is super soft and cuddly! Toddlers love playing with her! She even helps 10 month old babies to stand up on their own! What a Fun Giraffe Walker and Shape Sorter Toy for Toddlers! Cute Giraffe Toys for Babies and Toddlers! This is also a super FUN giraffe toy for babies and toddlers! 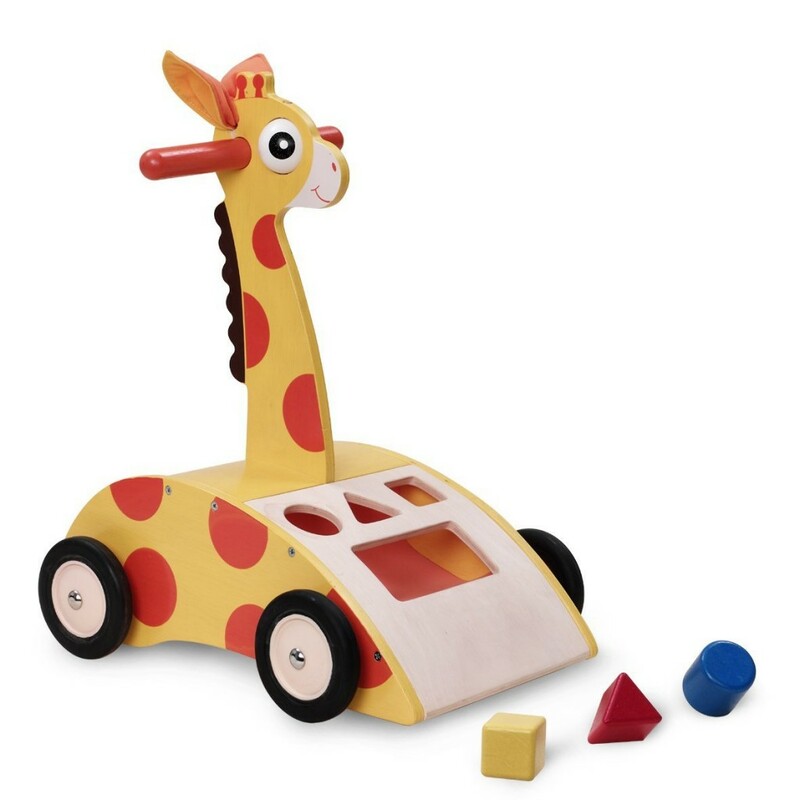 It’s a giraffe walker and shape sorter! She is not only fun, but educational! The quality is great and it is very sturdy! 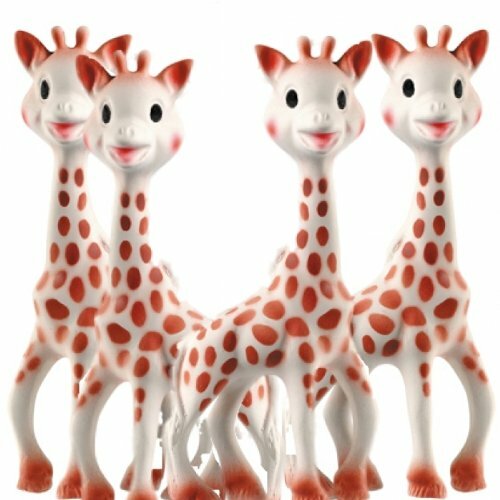 This is one of the most popular and most bought toy giraffes for babies with growing teeth! Her name is Sophie and she is adorable! She also makes cool sounds when babies squeeze her body! Very Cool Giraffe Kids Play Tent Play House! 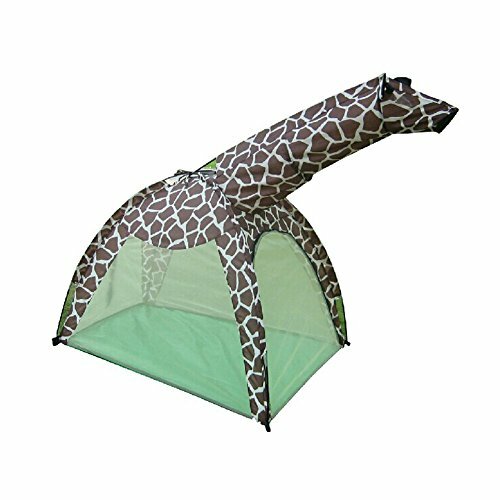 What a fun and very unique ultra-cool giraffe play tent for kids! Look at that giraffe neck! Fun to use indoors or outside too! 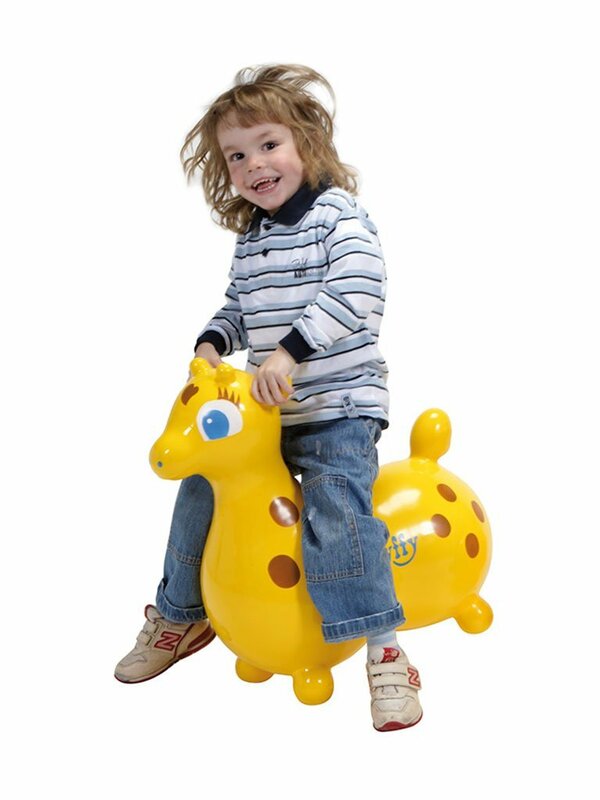 Who wants to hop on a fun yellow giraffe today? She is very strong and can carry kids between the ages 2 and 3 up to 5 years old! Very easy to clean and loads of fun! Kids love siting on her to watch a fun movie or just bounce up and down tirelessly! Cute Inflatable Giraffe Swimming Pool for Kids! 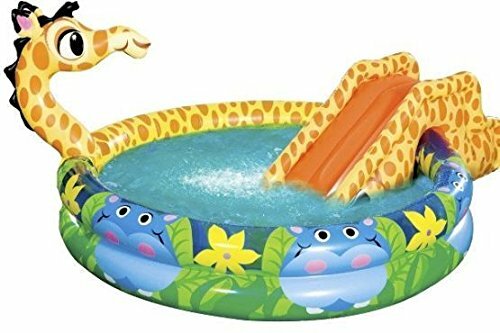 And last, but not least, a cute and fun giraffe swimming pool for kids! What a fun way to cool down during summer! She even has a fun slide too! *Did you have fun with these cute toy giraffes? Cool Giraffe Gift Ideas for Giraffe Lovers!